Congratulations to Duncan Sutherland of Alexandra. 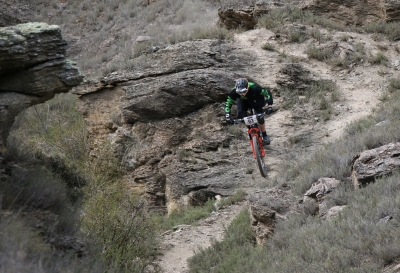 He took 2nd place U17 at Linger & Die Enduro, 8th Overall. Duncan works part time for Bike It Now in Clyde and was riding a stock Trek Remedy fitted with one of our Manitou Mattoc 170 mm Pro Boost demo forks. He seems in no hurry at all to swap back to his Lyrik. The Mattoc is the first fork he's ever ridden that gets him down Anthrax without any arm pump. 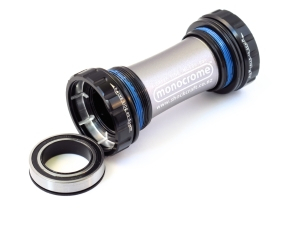 8 years ago Shockcraft pioneered a bearing saving revolution in our Monocrome Bottom Brackets: drainage slots were CNC machined into the aluminium cups to let out water that gets trapped against the bearings. Bearing life in wet conditions (or bad washes) extended from weeks to well over a year. The BB unit is still sealed from the frame and water drains outboard near each crank. Bearing life is improved so much that we have a 12 month bearing warranty on any Monocrome BB with stainless steel bearings and CNC Storm Drains. CNC Storm Drains are available on all Monocrome BBs: BSA Threaded 001(Mtn), 101(Road), 201 (GXP), Screw-Fit 41 (BB86-92) and Screw-Fit 46 (PF30). 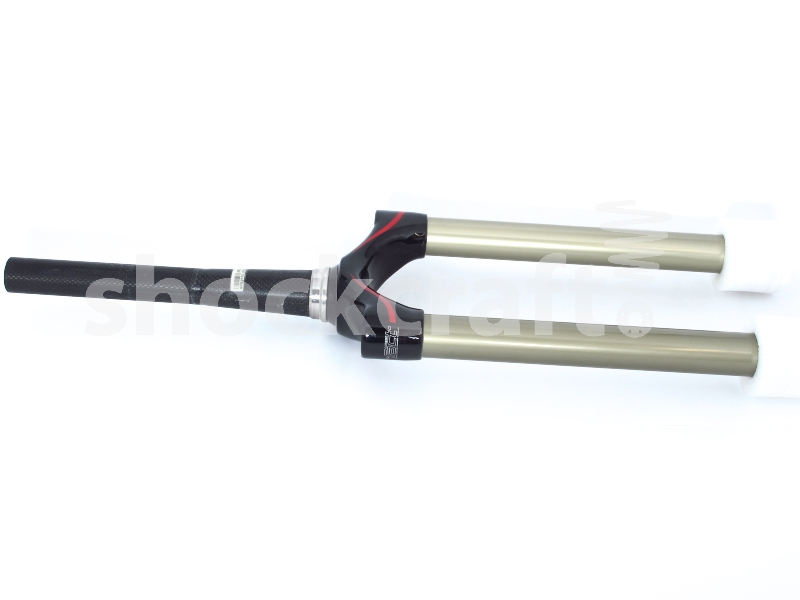 32 mm, 26" QR, fit Specialized 80-120mm Futureshock forks. Can also fit 32 mm RockShox with a little work. Two available in black, blue and white. 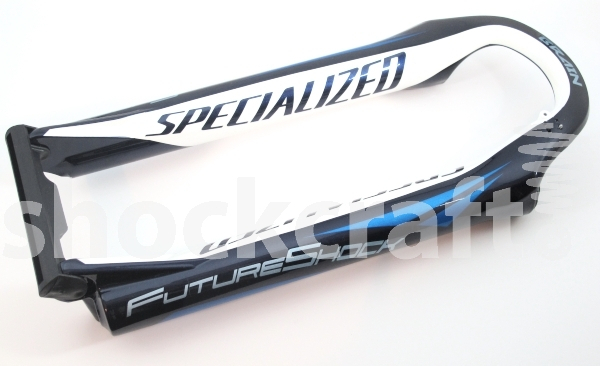 2008-2011 Futureshock forks with integrated brain. One available in black with red accents. If you own a Yari, Pike, Lyrik or Boxxer you'll know that DebonAir air spring upgrade is #sohotrightnow. To make it easy we've produced a fixed price service and install schedule. The schedule starts with just lower legs and air-spring install service. It grows to include full service, damper upgrades and we've added the Shockcraft tuning option in there too. Changing to DebonAir is a great time to change travel. Check out this awesome effort. Who can guess the contents? 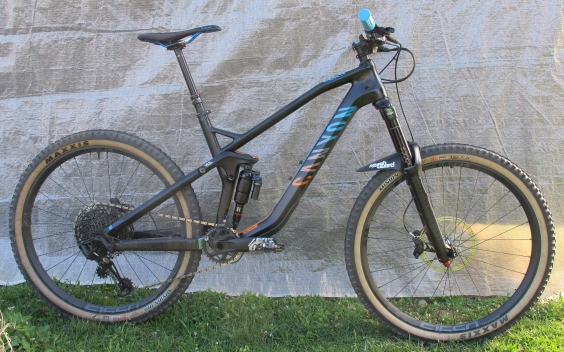 Sam C of Alexandra rides this Canyon Strive. It's Rockshox Lyrik is now rocking a Vorsprung Luftkappe and Shockcraft Unharsh modifications with Matrix Tune and SKF seals; keeping it slippery, supple and maintaining support while eating rocks. We fixed his Reverb seatpost and he added a Cane Creek Double Barrel coil just after. "Absolutely loving the bike now! The fork stays up in it's travel a lot better as you said it would. 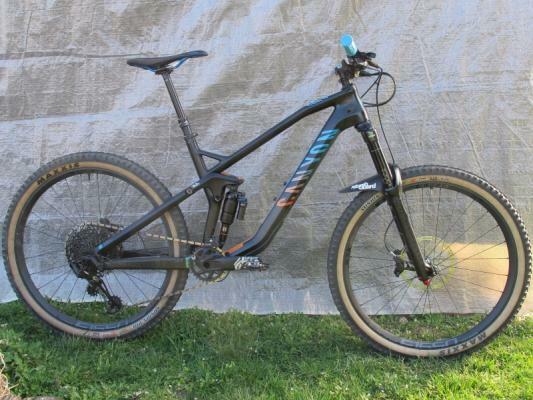 It's a fair bit firmer than before yet still quite comfortable and isn't harsh or diving whilst hard on the brakes on rough terrain."